system for Windows, Mac OS X, and Linux. 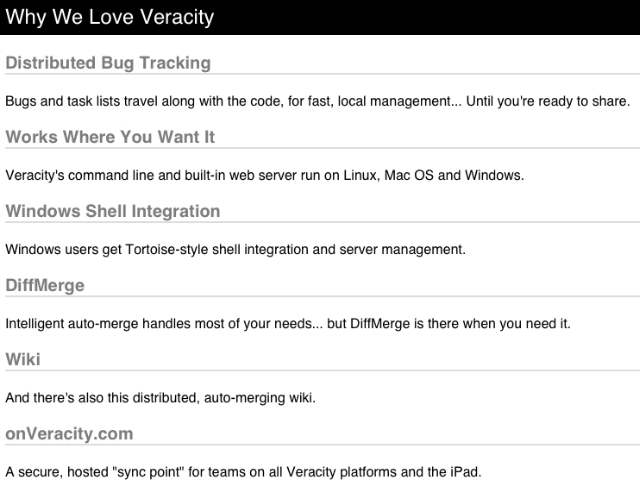 The core Veracity software is cross-platform and open source (Apache License 2, libre, gratis, no cost, etc). Find out more at veracity-scm.com. Not sure where to start? Something not behaving as you expected? The Veracity Q&A Site has a wealth of information, and chances are, someone else has asked the same thing. The first thing you’ll notice: Distributed Version Control is flat-out fast. Everything happens locally until you need to connect with other servers; when you do, that’s fast and efficient, too. 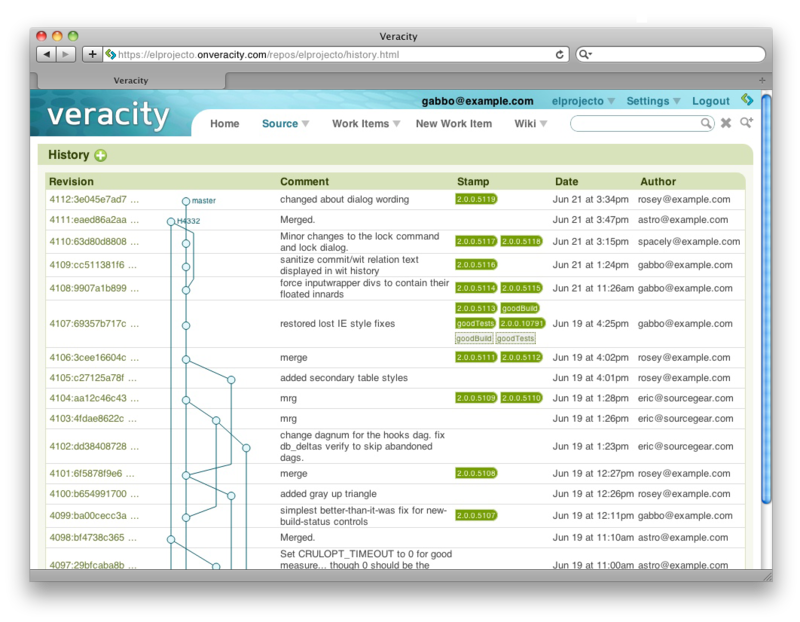 Having full reign over your own source code repo is a great start, but Veracity takes that idea further. 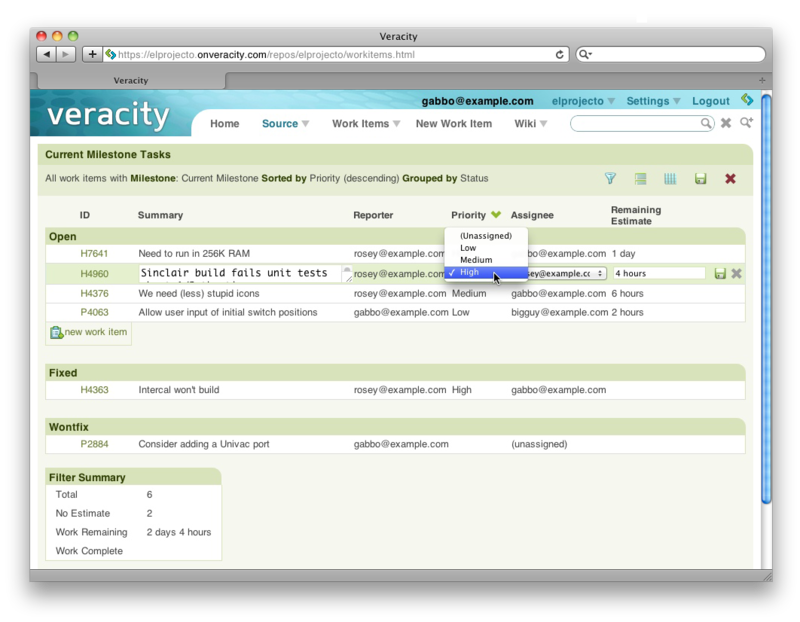 Your bug/task tracking, your wiki documents, file attachments: right there with you. And ready to be pushed, pulled and merged at your command.